Large producing strain with strong odour. The word monstrous best describes this plant. It is a huge producer with giant cola's. 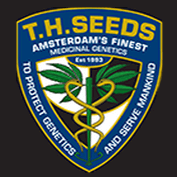 It is absolutely the best indoor producer THSeeds have ever seen. Ideal for planted method 20-30 p.s.m. This strain is also very odourous.